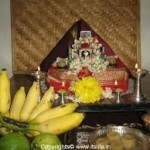 Mangala Gowri Puja is dedicated to Goddess Parvati. Sravana Mangala Gauri Vratham is also popular as Sawan Mangla Gauri Vrat in North India is observed by Hindu Women during Sravan Month (Sawan/Aadi). 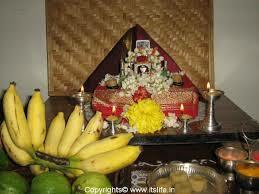 Mangala Gowri Vrat is observed for the well being of the husband and a happy and prosperous married life.